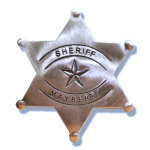 Are you a fan of The Andy Griffith Show? If so, then this is the book for you! 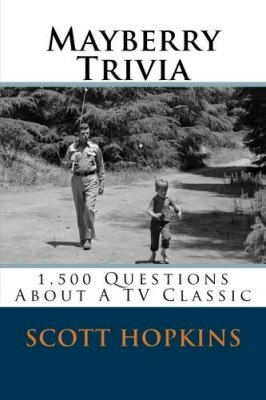 1,500 trivia questions about this classic TV show will provide hours of entertainment. 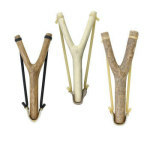 * Name the state investigator that likes to go frog-gigging with Andy. * What couple met at Wilton Blair's funeral in 1960? * True or False: Ernest T. Bass throws rocks with his left hand. * Who steers while Barney's broken-down car is pushed back to town? Don't worry, the answers are provided on the back of the question page. Scott Hopkins was born and raised in the Midwest and is an avid fan of The Andy Griffith Show. 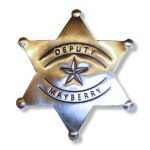 He was involved extensively with the development of the Mayberry Mania Game and the Mayberry-Opoly game. Scott resides in Ohio with his wife and two daughters.